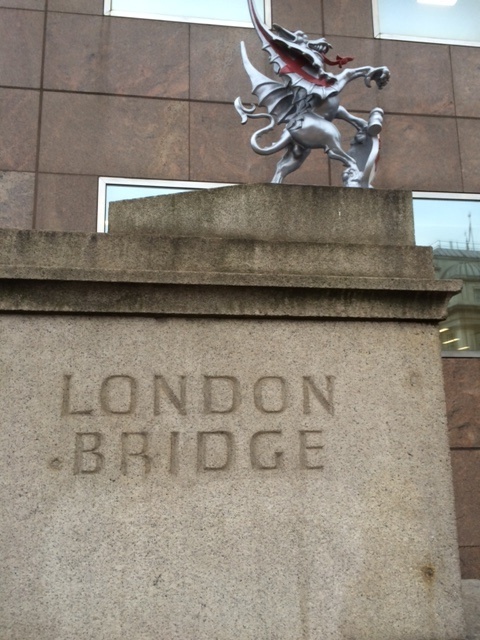 We all have places that we have to go to or pass through on a regular basis and that place for me is London Bridge. I don’t choose to go there but it’s on my way to work and every time I cross it, whether it’s to go to or from work I think how lucky I am. I’ve learnt to enjoy and embrace the view that London Bridge offers and I’ve come to absolutely love that part of my journey. I’m surrounded by iconic buildings such as the Shard, Gherkin, Cheesegrater and the Walkie Talkie and then there is the beautiful Tower Bridge. These sights all look different depending on the season and what the weather is doing. Some days they are shimmering in the sunshine and others they are shrouded in fog and mist. I love the countryside but I can still appreciate the beauty of the City and it’s history. There are also street entertainers that come out on certain days and my favourite is the fire-eater and juggler, he is always cheerful and he brightens my day, no pun intended. Come rain or shine he pitches up without fail. 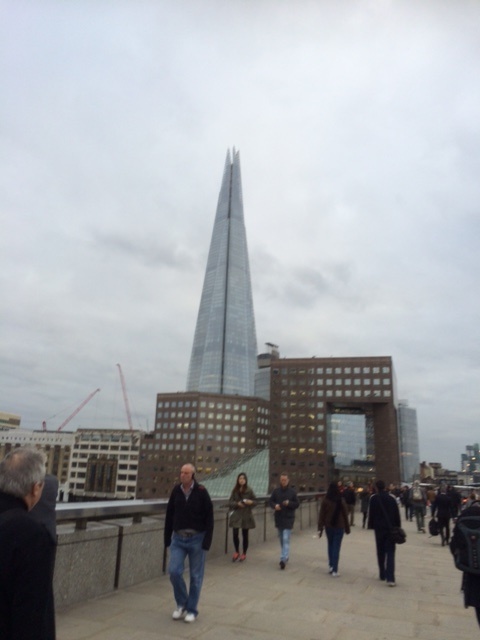 London Bridge is also a stop for tourist buses and tourists from all over the world pile off with their cameras in hand ready to take pictures of the River Thames, Tower Bridge and the iconic buildings. I always imagine how they feel at finally seeing something they might have talked about for many years and spent time planning to see and now here they are in person. It’s always very easy to take things we see everyday for granted but if we look at tourist faces it can sometimes act as a reminder to us to stop and take a look around us. There is never a dull moment, the other evening on the way home a guy jumped up onto one of the large plant containers and started to dance – no music, just moves which made you want to stop and stare to see what he was up to. He wasn’t drunk and looked completely cold stone sober. He ignored all the stares and as he danced, he kept looking up at an office window, obviously trying to get the attention of someone. Passers by stopped to see what he was doing and it still makes me smile when I picture him now. I have a feeling he was trying to get someone’s attention and he was going to ask them to marry him. Regular fashion shoots also take place on the bridge and that makes for interesting commuting especially when you see people wrapped up in Northern Face gear looking like they belong in Antarctica. Other times there have been brides with their bridesmaids all strutting their stuff looking so very glamorous and cool. London Bridge is an excellent location for film shoots although as yet I’ve never seen any filming because I think filming takes place at weekends or during the quieter times of the day or night. I always recall the scene from the movie Bridget Jones when she has finally got it together with Daniel Cleaver and she is seen walking to work feeling oh so happy with herself, her held is held up high and she is smiling away to herself. This is how I feel most mornings – just happy to be alive. I’d love to hear from you about any places that you have to go to on a regular basis as part of your daily journey and how you’ve learnt to embrace and enjoy it or perhaps you don’t but maybe can learn. The world really is an amazing place if we just open our eyes and really see it. Wishing all my readers a wonderful happy week exploring and learning to love the places we see every day and maybe even take for granted. Thanks for this lovely tour. 🙂 I thought the bridge was sold and moved to Arizona?